Nina Rumen celebrates 86th Birthday! Home / Nina Rumen celebrates 86th Birthday! Kathy MurphyNina Rumen celebrated her 86th Birthday Oct 12th, hosted by her good friend Sheila Zerr. 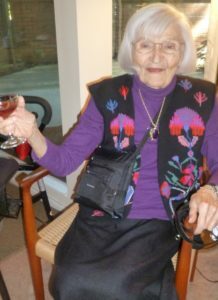 Nina loves a party and celebrated with a few of her BC History of Nursing friends.